We're passionately excited to hear more information about the upcoming film adaption of 'Fantastic Beasts and Where to Find Them.' In the meantime, we've picked out five actors we think would be great for the role of Newt Scamander. So, the question on everybody’s lips is “who should play Newt Scamander in Fantastic Beasts and Where to Find Them?” We’re seriously excited about the project and have pulled together a list of a few actors that we think would suit the role. Sorry Americans, like Harry Potter, this role has to be reserved for the Brits! 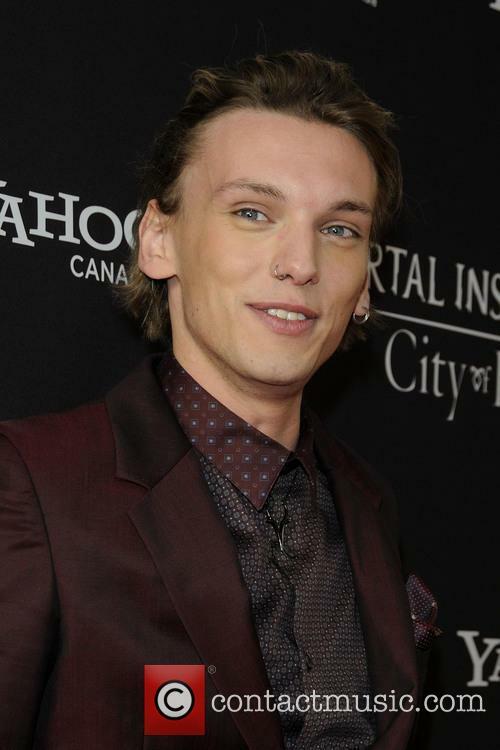 Would Jamie Campbell Bower make a good Newt Scamander? The 'sword and shield' television hype continues to grow as The White Queen celebrates its release on DVD and Blu-Ray on the 19th August 2013. The melodramatic television Drama based on the compelling, brutal and turbulent best-selling history novel The Cousins' War by Philippa Gregory portrays the perceptions of three passionate and equally ruthless women: Elizabeth Woodville, Margaret Beaufort and Anne Neville in their quest for power. Set in the middle of the 15th Century, England is divided by war as The House of York and the House of Lancaster fiercely fight it out their dispute to who is the rightful king. After much dispute The House of York's young and handsome Edward is mischievously made King by Lord Warwick. All is well until Edward falls in love with Lancastrian Commoner Elizabeth Woodville, ruining Warwick's plan to control the throne. From here on it Elizabeth is put in a violent struggle where she must fight for her life and the crown to the throne. The story unravels and exposes a possible view one of the most interesting stories in British History. The White Queen's first episode aired on the BBC yesterday evening (16th June). The series is the BBC's summer latest offering to drama fans and follows the stories of the powerful women involved in the War of the Roses. The White Queen stars two relatively unknown actors, Rachel Ferguson and Max Irons, as Elizabeth Woodville and King Edward IV. They are supported by James Frain, Caroline Goodall, David Oakes, Rupert Graves, Amanda Hale and many, many, many more. A decent historical drama is signposted by the presence of The Tudors' Frain, The Borgias' Oakes and Graves, who donned a wig in order to play George Villiers in a BBC adaptation of the life and loves of Charles II. It does take a certain type of actor to pull off the floppy haired-tights-codpiece- thigh high boots look. Fortunately this trio do. 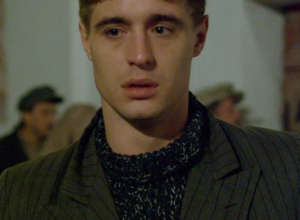 Max Irons does quite well too. The programme is a dramatization of the life and times of Elizabeth Woodville, wife of Edward IV. From relatively humble beginnings we see the Lancastrian lass rise to the highest position a woman in medieval society could reach: Queen. Elizabeth was grandmother of Henry VIII, a monarch whose offspring has overshadowed historical drama. The series is based on Philippa Gregory's best-selling book of the same name. Melanie Stryder, once a tenacious and strong young woman, has been infected by an alien parasite from a race known as Souls. Her personality is almost completely overridden by it, turning her into more of a timid and sympathetic person like the Soul itself who is known only as Wanderer. Wanderer and Melanie struggle against each other as the Soul's reluctance to carry out her assigned mission and completely control her host in order to take over the Earth with other members of her race causes her to become somehow half-human. She develops a bond with Melanie, with members of her family and with her friends and resolves to help the few free humans left in taking back their planet. 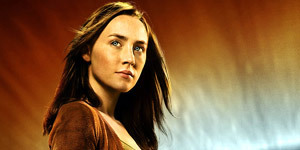 'The Host' has been adapted from the 2008 novel of the same name by the genius behind 'The Twilight Saga' Stephenie Meyer. Directed and written by Andrew Niccol ('The Truman Show', 'Lord of War', 'In Time'), this romantic sci-fi thriller will truly put you in a moral dilemma when it forces you to take sides between two different races - both with desirable qualities and both with dark and selfish undertones. It is set to hit movie theaters everywhere from March 29th 2013. Starring: Saoirse Ronan, Diane Kruger, William Hurt, Jake Abel, Max Irons, Boyd Holbrook, Frances Fisher, Chandler Canterbury & Scott Lawrence.